by Jing Liu ~ November 28th, 2011. 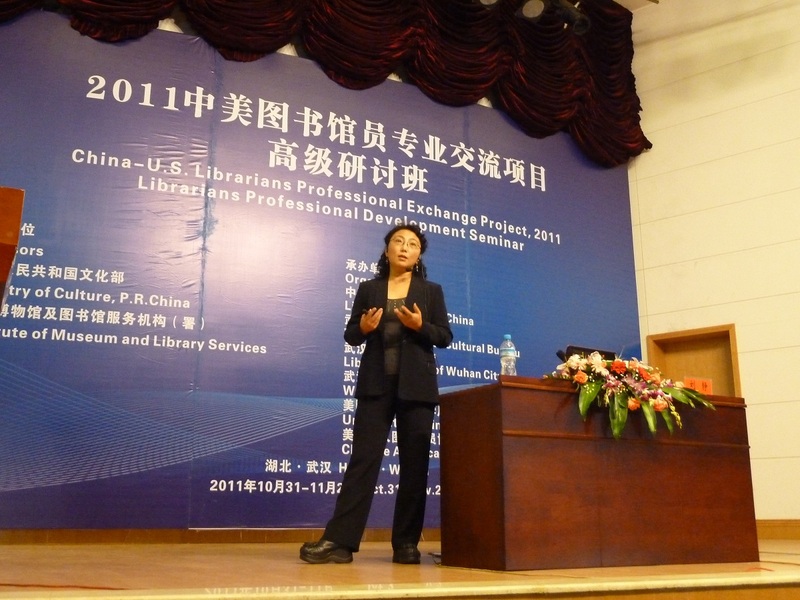 Filed under: Events, Experience, Instructions, Libraries in China, Professional Development. Glad to see Wuhan as one of the stops of the TGAG trip. On top of the work, it’s like a reunion event. 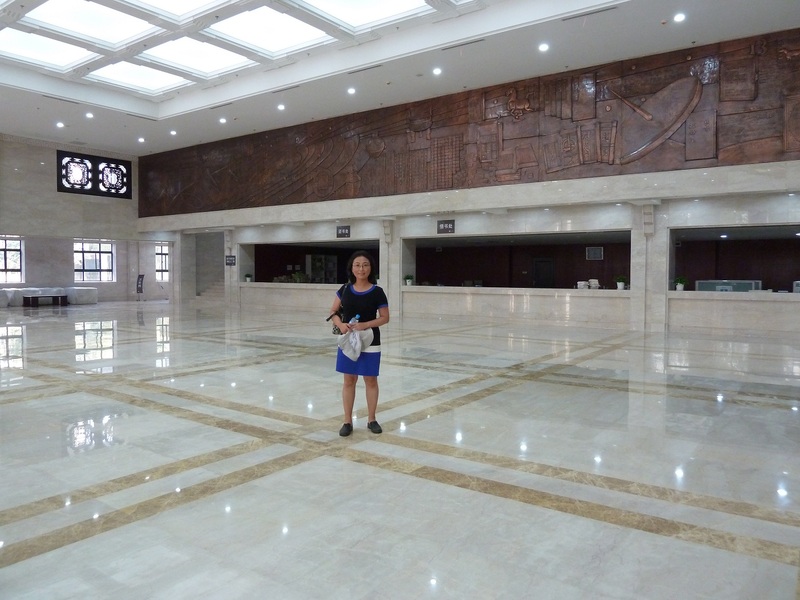 Jingxia successfully worked out the program held in her City Library, just like she brought her library into IFLA. I felt pressure after I saw the program package already in my hotel room. The group had a meeting after dinner to clarify what we each need to work on. Thanks for the well equiped auditorium, I could move freely on the stage and had my eyes on the entire audience. 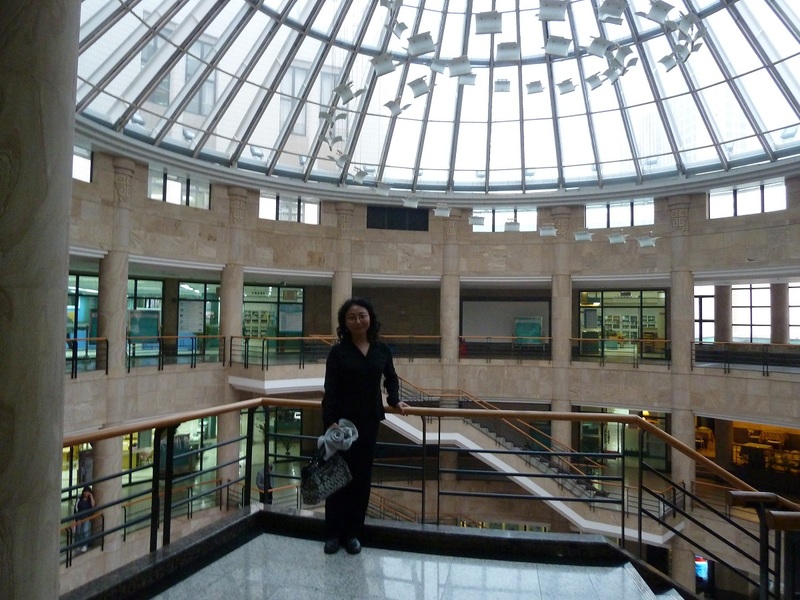 Glad to learn the Wuhan Library’s weekend workshops. Some library directors grabbed me to the side and told me their dilema and they had to activate all kinds of connections in order to survive. Wuhan U just built and was about to open another new library. 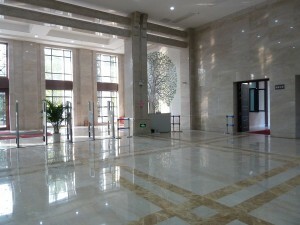 Marble floor and walls in the lobby. 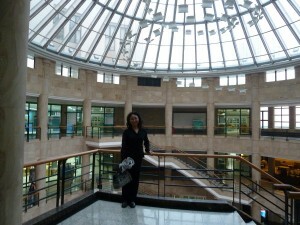 We used to have dance parties in the dinning hall near our dorm, it would be nice to dance here. 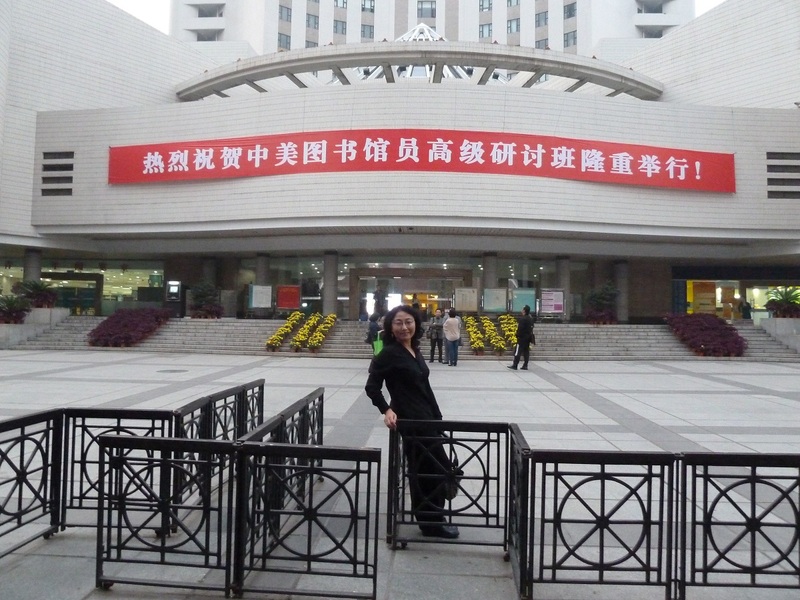 Great photos and summary of your trip to Wuhan, Jing! Looks like a wonderful exchange of ideas and information! You can tell the difference between my self-funded volunteer teaching trip and your teaching trip. 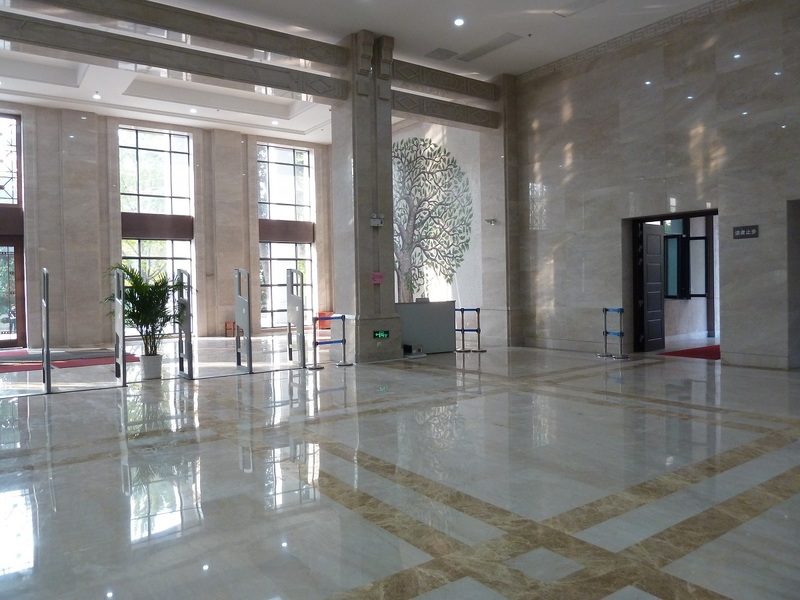 I heard about, but have not seen with my own eyes, facilities like these all over China. 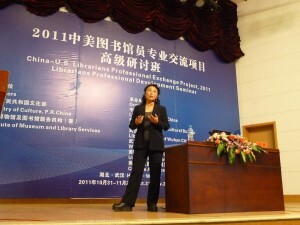 I wish I could join you one year to learn more about what you do in China in the library field. Yeah, the mike is neat and wireless. I could walk freely on the stage. Maybe we can organize a team from Vancouver. Academic, public, government, corporate, all sorts of libraries have our bilingual friends now who have knowledge or work experience from the two countries. This one is American government funded project. Quite a lot of people approached us in China for future projects. I asked my big boss, Ingrid. She sounded supportive. There are some tricky policy issues, but if we really want to do it, there will be a way. The same for our EMAS organization. There is so much demand in China, and there is so much to offer from the Canadian team. It takes a visionary leader, some skillful organizers, and very many volunteer professionals to make things happen. I hope your vision of having a multi-specialties/multi-disciplined librarians team going on an information exchange/teaching/mentoring trip to China will be realized. I will join you when it is set in motion.